This is to inform all the newly admitted students of the University of Calabar (UNICAL) that the management of the institution has announced the date for the 2017/2018 academic session orientation programme. Orientation for UNICAL Freshmen will be held from the 4th – 5th April, 2018. 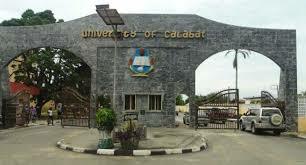 The event which will commence from 9am daily will take place at the UNICAL International Conference Centre. The Opening Ceremony of the event is billed for 4th April, 2018. The release further disclosed that Wednesday, 4th – 6th April, 2018 has been declared lectures / registration free for all year one student.